There are a couple of different reasons why pet owners would consider making a small investment in a pet tracking device. For one, it is the single most effective way to track down a missing pet. Also, it gives pet parents peace of mind to know where their pet is at all times. Finally, some devices feature a fitness tracker which monitors the activity of a dog or lack of it! During a survey on locating missing pets, results showed that 14% of dogs become lost at least once during a five-year period. Of those, 7% of were never reunited with their owners. The study also showed that dogs were located by actively searching in the nearby neighborhoods. And overall, the use of dog collars and ID tags is a valuable preventative method. 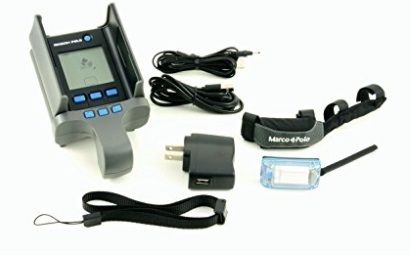 TIP: To check out the Bestselling GPS Dog Tracker click here. Imagine if there was a way to track your pet at all times. A GPS tracking system that could pinpoint where they are as soon as you realize that they're missing! We can help you to avoid that from happening! 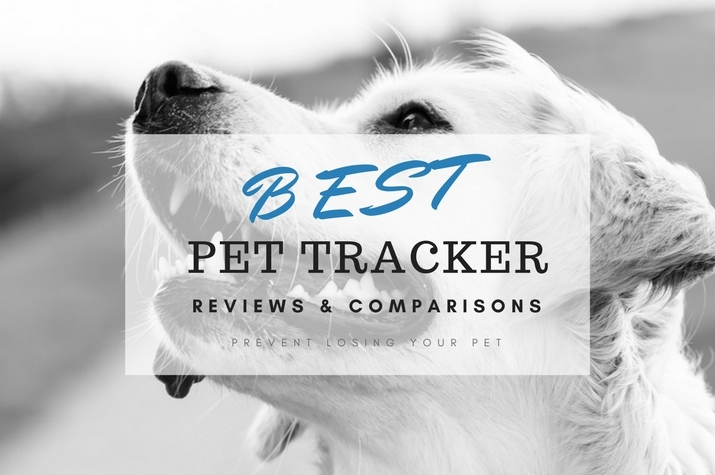 In this article, we’ve hand-picked the very best pet trackers based on user experience and recommendations of pet owners, who know full-well the stress and worry a missing pet can bring. Now, before you make any purchases, here are some key differences you should pay attention to. Dog tracking devices are integrated miniature receivers comprising of a GPS that works with your phone and a dog collar tracker, which directs you to the location of your dog. The trackers will ensure that your pet does not get lost, stolen or wander out of sight for too long before you discover him or her. Pet fitness trackers monitor a pet's activity levels and are a great way to ensure your dog gets the daily required dose of exercise given their breed and level of activity. Pet trackers work with the integration GPS receivers alongside a mobile smartphone. The GPS dog tracker is worn around the neck as a collar, and it transmits information to the owner’s smartphone, hence the movement of the pet can be easily tracked on the smartphone. There are basically two types of tracking devices for dogs, these are; radio and GPS. This technology was the first to be used, especially for hunting dogs, and has since been adapted to the wider market and can provide a reliable tracking of a pet within a small range. Radio trackers often suit users in remote locations, and they usually comprise of collar attachment and a handheld device and when you press a button on the device, you will get a reply showing the range. The disadvantage of a radio pet tracker is that you need to understand how to interpret the range, hence it can be a little technical, and it is also bulky when compared to GPS trackers. GPS pet locators are more desirable, because it offers more precision on tracking a missing dog (or cat too). The GPS works like a map, hence you can follow directions to locate your pet from your smartphone. GPS has a wider range than radio trackers, it comes also with GPS technology on a collar of the dog and an app on the smartphone to monitor the effectiveness of the GPS. Other features and accessories you should consider include; water-proofing, activity trackers and geo zones. You may need a waterproof tracker especially when you are tracking your pet during wet weather. The activity tracker is an extra accessory that helps monitor the actual activity of the pet, for instance if you are exercising a dog for weight loss, it helps record the calories burnt or speed at which the dog is moving. Size is another factor you need to consider when choosing an activity tracker. Some trackers can be too big to carry around. You need to ensure that the collar attachment is durable and fits perfectly to the neck of the pet (the best tracker should come with adjustable strap length), it must be lightweight, and must not cause any discomfort for a pet. Here’s a list of our top four picks for the best GPS tracker for dogs. When it comes to smart pet care technology – Whistle is ahead of the curve. 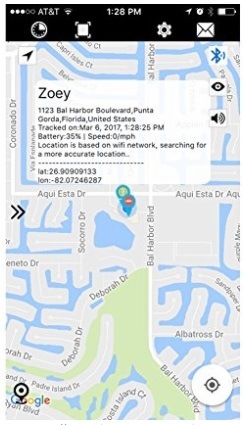 The Whistle 3 Pet Tracker and Activity Monitor is top notch and feature rich informing you of your pet’s whereabouts anywhere in the U.S when you need it most using GPS technology. Along with its tracker and locator capabilities,Whistle 3 also keeps track of your dog's activity, sleep patterns and fitness goals. It provides location alerts, in the form of emails, or text messages, especially when a pet leaves a safe zone. As far as battery life goes, Whistle 3 has a long lasting battery that can last up to 7 days. Attach the device to your pet’s collar or harness and Whistle 3 can track your pet whether he is down the road or 3,000 miles away. Check it out on Amazon right here. A nationwide GPS coverage, with subscription plan as low as $6.95 per month. Recommended for pets 8 lb+. Provide a 24-hour trip coverage for your pet, and monitor all activities. 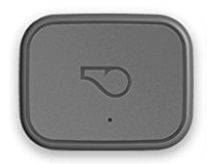 It is a completely waterproof GPS tracker. Extremely well built and durable. If you want to have a closer look at the Whistle 3 Dog Tracking Collar and Device for your escape artist and see what other pet owners think of it here’s a handy link to their offering on Amazon. 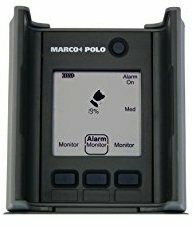 Another option that is right up to par with the quality of the Whistle Pet Tracking Device is the Marco Polo Advanced Pet Locating System. (Amazon link). Unlike Whistle, the Marco Polo tracking system works virtually anywhere in the world, and you don’t need GPS to operate it. This tracking device uses radio frequency to locate and pinpoint you to your missing pet. It’s particularly great for when you’re going on hiking trips or forest trails and have no cell or internet coverage! Of course, one of the main draws of this particular pet tracker is that there are no monthly cell service fees thus saving you money. The 3 months battery life is another awesome feature. A pricier tracker than our first pick but given its functionality and reliability, the device will pay for itself multiple times over. 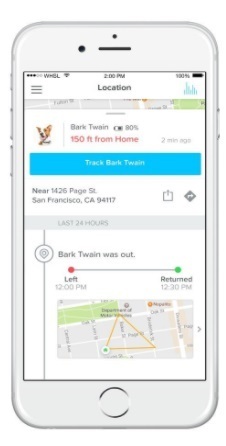 Use it to track your missing dog, cat, drone, keys, you name it, this technology while “old-fashioned” is reliable. Another impressive thing about the Marco Polo tracker is that you can set up an alert when your dog gets away within a certain distance from the house. This preventative method relieves the worry many pet parents have of their pet going missing or wandering off. 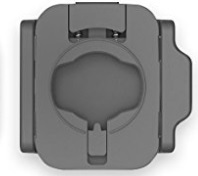 A compact design that is both water resistant and heavy duty so great durability. Works great for dogs (large and small). The tag weighs 1.75 oz and attaches with a soft nylon fabric holder that fits tight to the collar. Can add another 2 tracking tags and monitor 3 pets at the same time . Range is up to 2 miles. 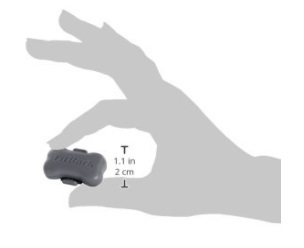 With compressed dimensions of 1.4” in diameter x 1/2” in height and weighing just 3/4 of an ounce Find My Pet Nano is the smallest GPS dog tracker of the bunch that works anywhere you have cell phone coverage. Weighing just ¾ of an ounce it is another great indoor and outdoor pet locator suitable for both dogs and cats. It works on android and IOS smartphones (free app) and it is a worldwide tracker. So if you’re planning on travelling and thinking of bringing your dog along with you, this GPS tracker will help you feel more secure. Find My Pet has a ton of features including tracker alerts, 2-4 days batter life, geo-fencing, useful tracking history and an SOS button. 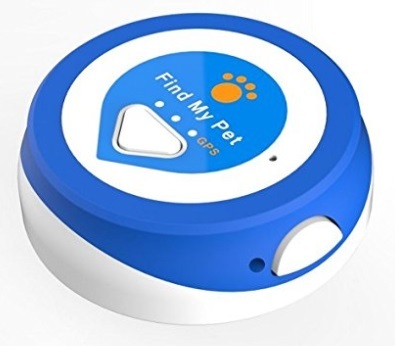 It provides the most accurate location tracking, it works with satellite tracking as well as W-Fi connectivity for tracking your pet. Works with Bluetooth connectivity when your dog is indoors. Comes with a rechargeable battery and it is waterproof. You can add as many pets to one account, at a time. Comes with a monthly service fee of $4.99- 1st month tracking service is free. This is, hands down the best dog activity monitor and the easiest to use. 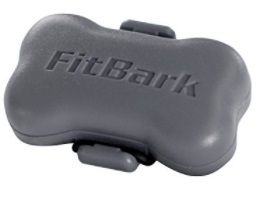 Unlike our top three picks which are pet finders and locators, the smart 8 gram Fitbark device monitors the day to day activities of your dog from how they sleep at night time to tracking where your dog likes to hang out during the day. All you got to do is attach the fitness tracker to your dog’s collar and start monitoring their activities on your cell phone (Android & iOS), tablet or laptop. The app is free and there are no recurring monthly fees. 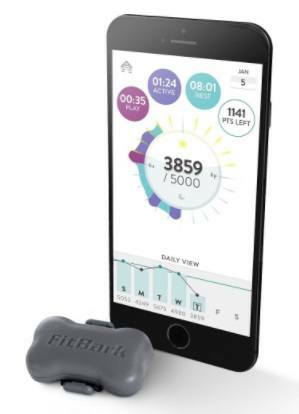 A close contender to our top pick the Whistle, Fitbark is another great and smart way to monitor dogs that aren’t getting enough exercise, are overweight, suffer with separation anxiety or you just need to keep an eye on their overall health. This 24/7 pet fitness tracker is available in 5 different colors (Cool Grey, Baby Pink, Emerald Green, Light Blue and True Red). The connection between the device and the cell phone is via Bluetooth, so no cell signal, no problem. Without a tracking device for your dog, it can be very easy to lose them especially if you moved home recently, adopted a dog from a shelter, got a new puppy or just have a classic Houdini as a pet. If you don’t want to get a subscription-based tracker, you can opt for non-subscription based trackers that can save you hundreds of dollars. You may also want to consider trackers with rechargeable batteries, because they can work for several days with sufficient power and you don’t want the hassle of frequently replacing them. Lastly, consider water-resistant tracking devices since you want to track your pet during wet conditions or if he is a water-dog and spends most of his time swimming, you want the GPS dog collar to allow for that and function properly.